When is the best time to go to Fiji? A perfect balance of lush tropical rainforests and pristine beach hideaways, the islands of Fiji offer two distinct experiences. Although the sun shines nearly every day in the remote islands and the temperatures hover in the 70-80 region, Fiji does have a wet season from November to April, where brief heavy storms may occur. They are more likely to frequent the lush islands of the north east and the main island. Here are the popular requests from travelers to use as a starting guide. 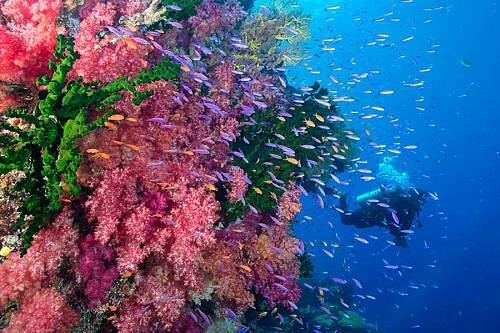 April – November, although you can dive year round from most resorts in Fiji. Coral spawning occurs on the full moon either November or December each year (mother nature likes to keep us guessing). Although this is a highlight for many divers, it reduces visibility immensely for a period afterwards. The diving also varies greatly by region in Fiji and it is important to let us know your experience level and what you hope to experience in your dives. We can then assure we match the right location. April – October. Perfect for a gorgeous beach available just to the two of you all day. You can stretch into November if you want to explore the waterfalls as well as the beach areas. 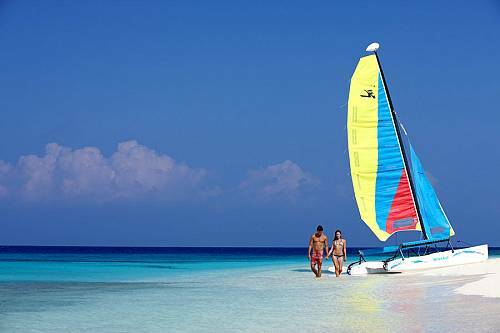 Be sure to ask us about Adult only resorts in Fiji. Year Round. 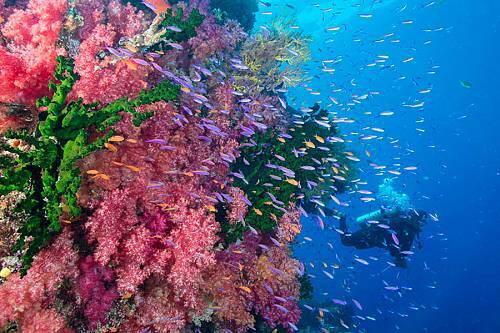 Fiji Islands are popular for Australian and New Zealand family vacations. Some luxury resorts offer family weeks, which usually occur January and June. Ask us for a current list of offers and dates. Free meals for kids and free babysitting are not uncommon either. March – November, to enjoy the rainforest as well as the beaches. The rainfall in March and November bring the waterfalls and flowers to their peak. Bamboo river rafting, ziplining, island hopping and visits to local villages are all fine during these times. Let us know if you have a specific interest in mind. April-November. Warm tropical waters make a delight for swimming out from your private stairway into the ocean. An adults only resort, it is the perfect location to celebrate a honeymoon or other special occasion. We like this combination for adventure and beach relaxation. Best done August – November or March – May. 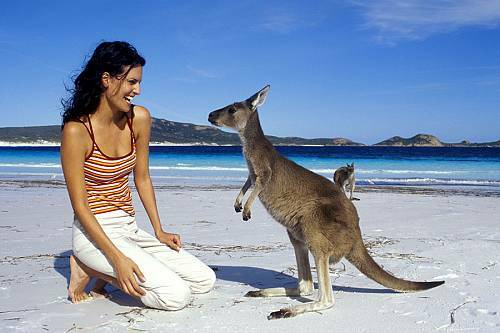 But great to do year round, we simply pair resorts and locations you visit by the time of the year you travel. 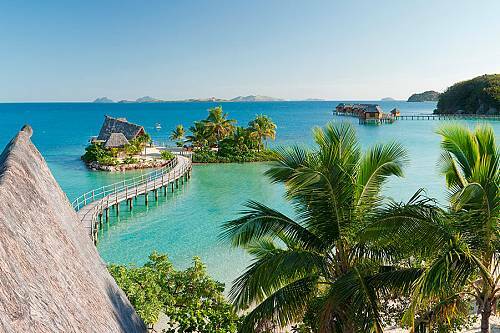 Treat yourself to a week in paradise at Likuliku Lagoon Resort Fiji. Stay in an overwater bungalow, where you’ll be treated like royalty and you can slip into the warm lagoon whenever you wish! 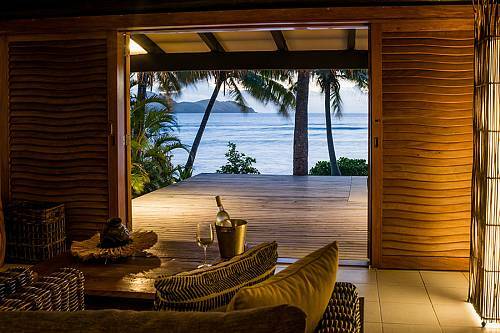 After a week at Matangi Private Island Resort in Fiji, you’ll never want to go back home! A couple’s massage, private picnic in Horseshoe Bay, and more romantic extras are included in this special package. 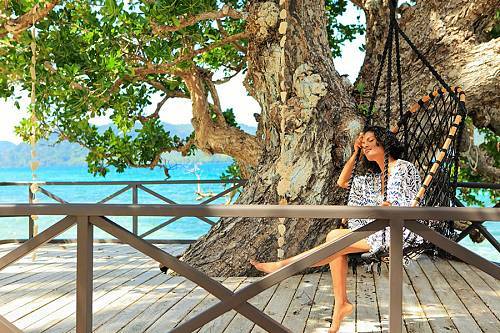 Discover pure bliss at the luxurious Namale Resort & Spa, an authentic Fiji retreat. Stay 5 nights or more and save 20% on your stay, plus receive a free couples’ sugar glow treatment in the Namale Spa! Stay 7 Nights, Pay 5 (All Room Categories). 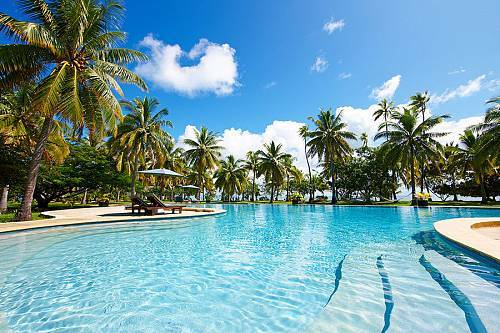 Enjoy a week in paradise at Royal Davui Island Resort Fiji! See inclusions for details. Customize any of our sample trips! 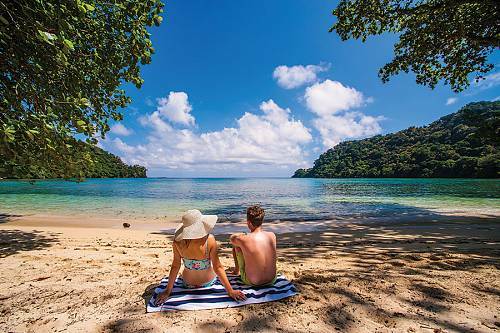 Relax, unwind, and enjoy tropical romance with this Fiji Islands Honeymoon. Stay at 2 of Fiji’s top romantic resorts with a mix of adventure and relaxation. 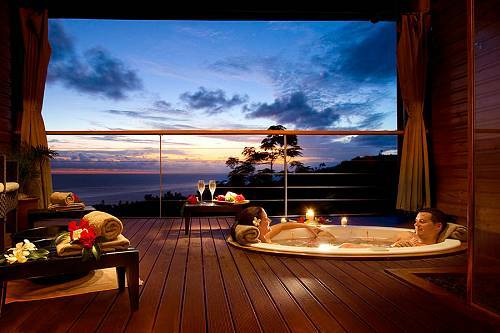 Enjoy rejuvenation and romance at a gorgeous Fiji resort. A romantic couple’s massage, beautiful beaches, and breathtaking Fiji sunsets will make this a truly special getaway you’ll never forget! Stay at the only Fiji overwater bungalows at Likuliku Lagoon Resort. 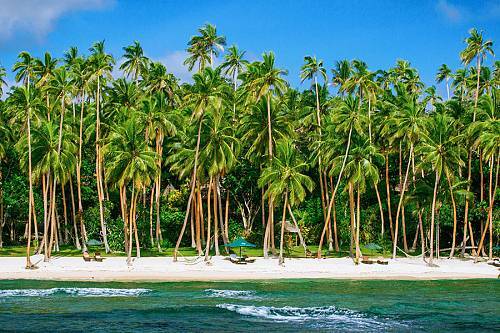 Plus, 5 nights on Matangi Private Island Resort. 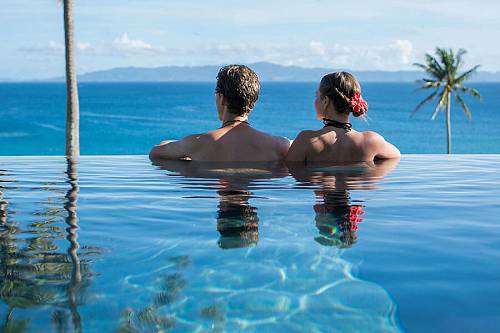 Enjoy the ultimate Fiji honeymoon! The ultimate bucket list trip for divers, this vacation includes unparalleled diving in the Great Barrier Reef, plus a dive package in the soft coral capital of the world! Want a romantic destination wedding? 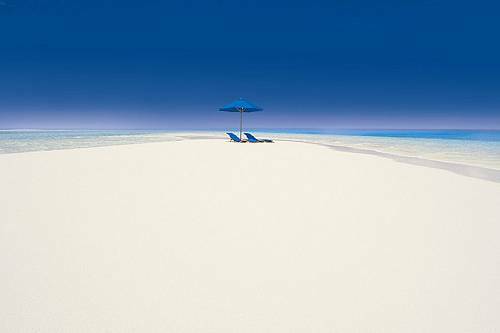 Look no further than Vomo Island Fiji, a luxurious tropical island with sandy beaches and the utmost privacy. 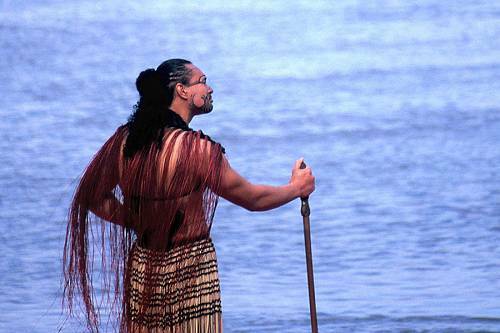 Travel to Australia, New Zealand, and Fiji with the ultimate South Pacific vacation package. 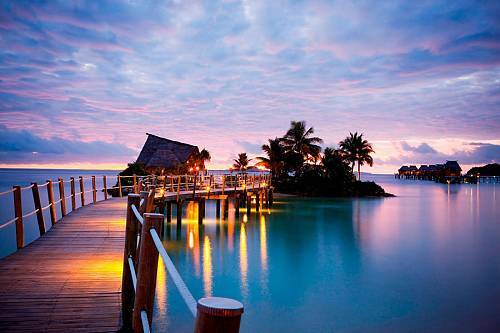 Spend a week in paradise at an exclusive Fiji resort designed just for couples. You’ll feel like you’re the only 2 on the island. 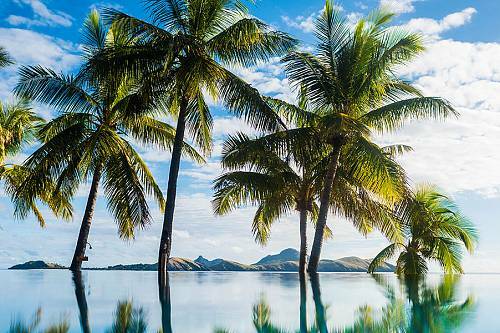 Combine adventure, luxury, and romance with this epic Fiji vacation package. 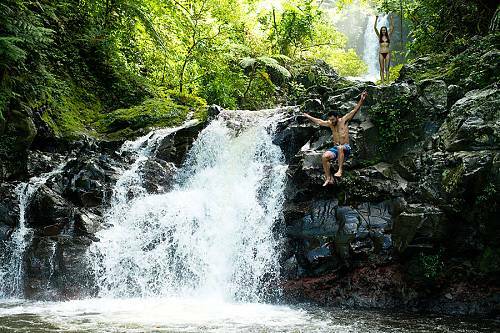 Hike to waterfalls, go zip lining in the rainforest, and explore hidden beaches in Fiji. 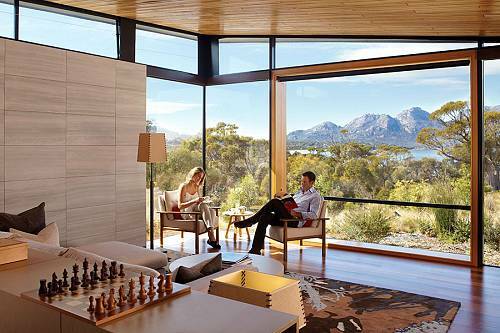 Indulge in a feast of the senses in Australia, visiting some of the most scenic and delicious regions of the country. 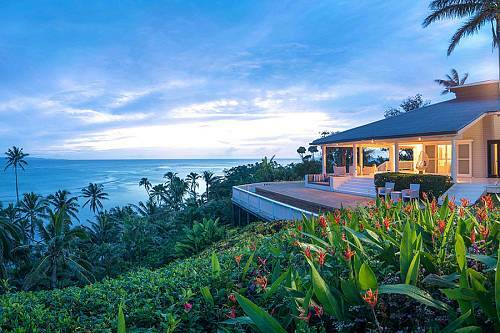 End your getaway at a unique luxury resort in Fiji. This itinerary features spectacular boutique accommodations where gourmet meals, beverages, and selected activities are all included.